Stoomvaart Maatschappij Zeeland (SMZ) was a Dutch ferry operator that ran services from the Netherlands to the United Kingdom between 1875 and 1989. In 1927 an agreement was reached with the London and North Eastern Railway to switch the service to Harwich, and that agreement was further enhanced in 1946 after World War II when services were moved to the Hook of Holland. British Railways had taken over from the LNER at Harwich in 1948 and the service evolved to a full co-operation, the two companies employing four ships plus two relief vessels. In 1968 with the introduction of car ferries, the SMZ and Sealink services were fully amalgamated. In 1989 Swedish ferry operator Stena Line acquired SMZ. The following year Stena Line also acquired SMZ’s UK partner Sealink. The Harwich operations of Sealink were transferred to Stena Line BV. MV SNAV Adriatico, ex Stena Baltica, Koningin Beatrix – Steel twin screw motor vessel built in by Van der Giessen De Noord, Krimpen an de Ijssel, Holland (Yard No 935) in 1985 for Stoomvaart Maatschappij Zeeland N.V (SMZ), Hoek van Holland, Holland, as a passenger and vehicle ferry. 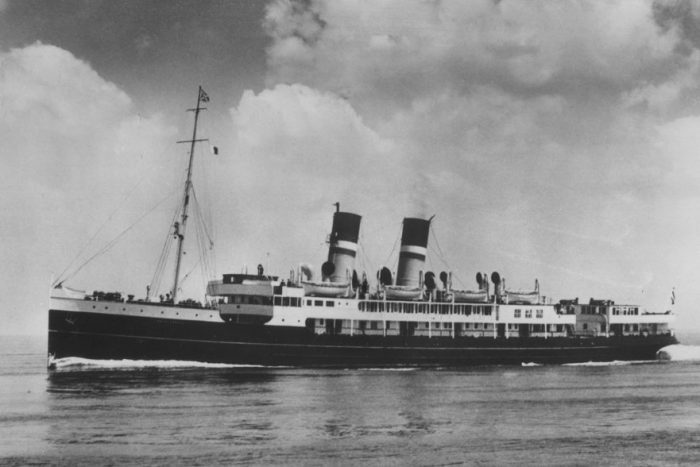 SS Mecklenburg (II) – Past and Present.